We develop and manufacture components for Electron Beam Systems. 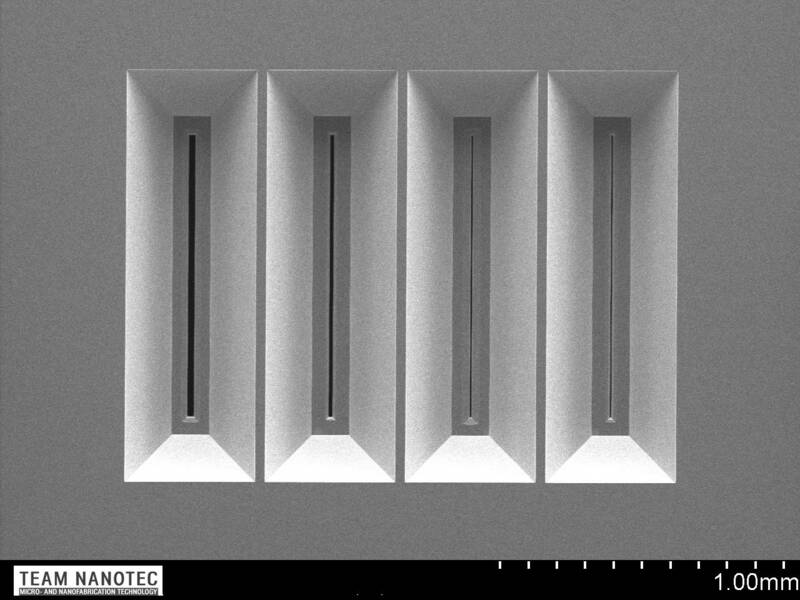 Rapid prototyping, versatility and decades of experience in MEMS fabrication and electron optics are our key strength. Beam shaping apertures are custom made, so if you have a project in search of a fabrication solution or in need of rapid prototyping, please contact us with your project details. Very often a short discussion will determine feasibility, or provide alternative methods or materials to be considered. 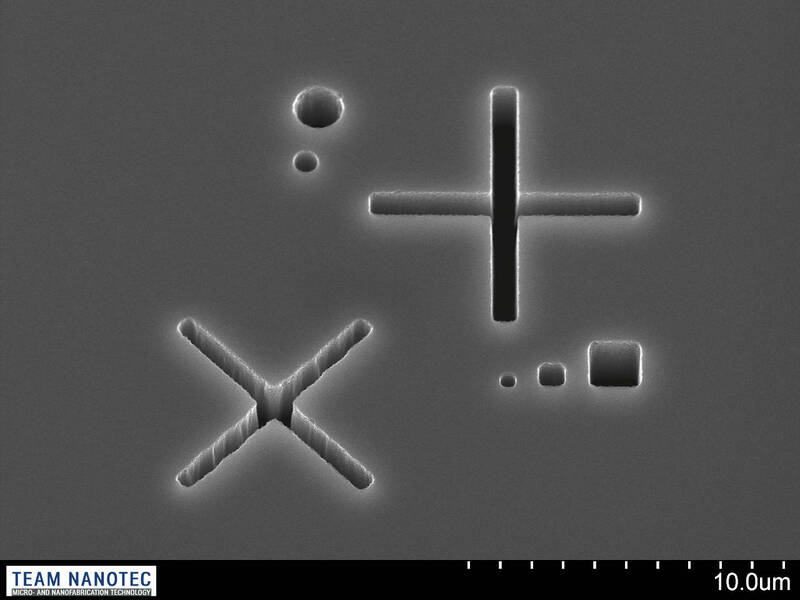 Using MEMS technologies we fabricate apertures in membranes with well controlled profiles, extremely smooth sidewalls, very small corner radii and precise dimensions. and very small corner radii. 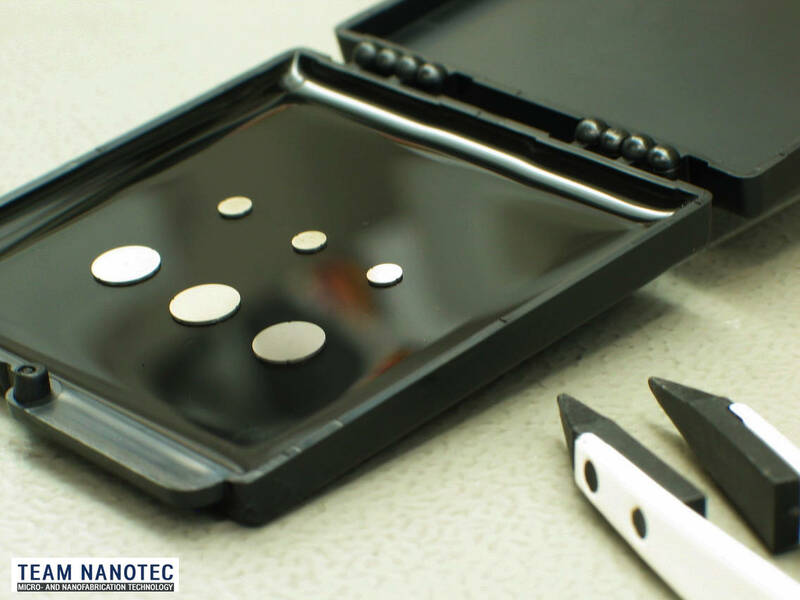 Typicalle we use silicon, silicon nitride, metals or combinations of these and other materials to form the membrane. Depending on the application in question various membrane thicknesses can be realized. 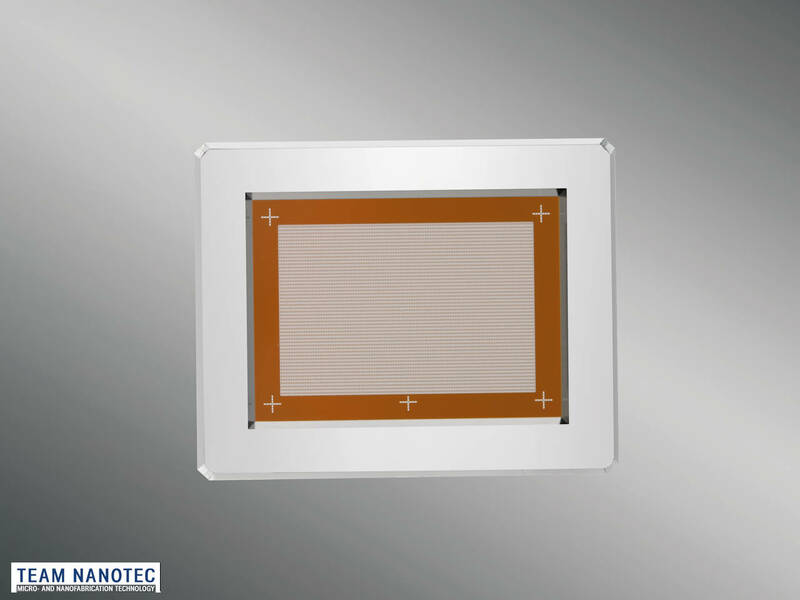 A typical aperture chip consists of a frame of wafer thickness and a smaller membrane area. The apertures and chip can be either round, rectangular or of arbitrary shape. Over the years Team Nanotec developed a range of packaging solutions for your beam shaping apertures. So each product can be shipped in a container suitable for the enviroment of its future use. Handling and shipping is possible without problems down to membrane thickness of only 30 nm.